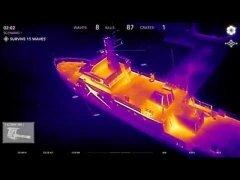 What would happen if the planet suffered an alien invasion and you had a fully equipped and armed helicopter? Your first option probably wouldn't be to go to the beach to soak in the sun. 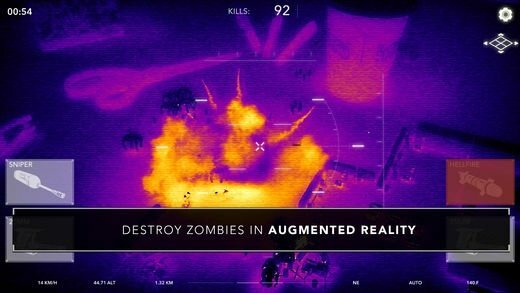 The guys from Limbic Software offer you the chance to pilot your own helicopter from your iPhone or iPad to save mankind from those brain-eating monsters in this augmented reality adventure called Zombie Gunship Revenant AR. If you've got iOS 11.0 or later an ARKit, this game is for you. The ultimate AR shooter game in which you'll control a fully equipped helicopter to kill off zombies. 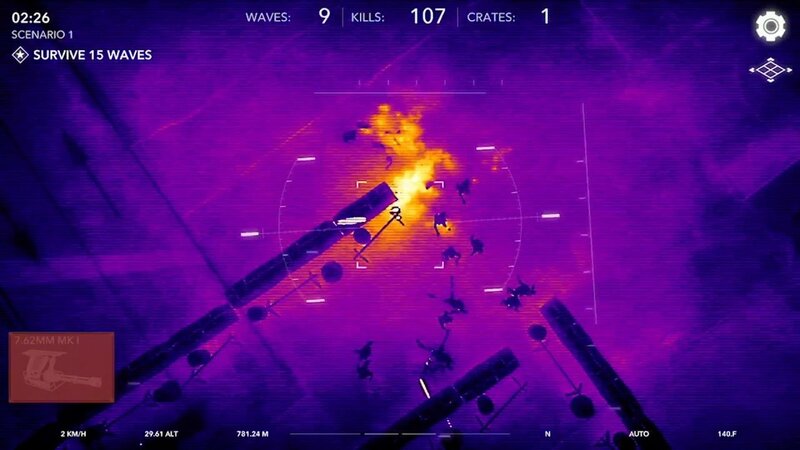 But what makes this game different to other shooters featuring zombies? Definitely the thermal vision camera. This isn't the usual old adventure, here you'll pilot a helicopter to squash zombies from the skies using a special camera that will make your task easier and also gives the game an original and innovating touch. 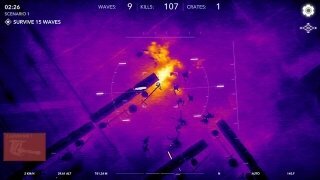 But not only are the graphics great, also the sound effects, so that you feel like you're really in the middle of the battle, achieving a surprisingly immersive experience. 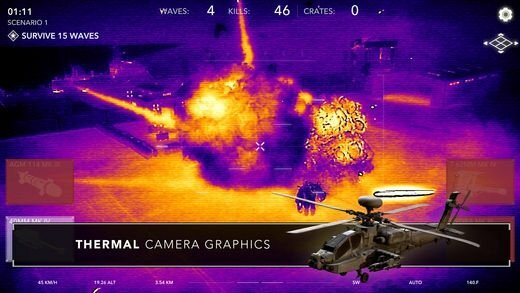 Defeat hordes of zombies with new thermal camera graphics. But you won't be alone in your mission. 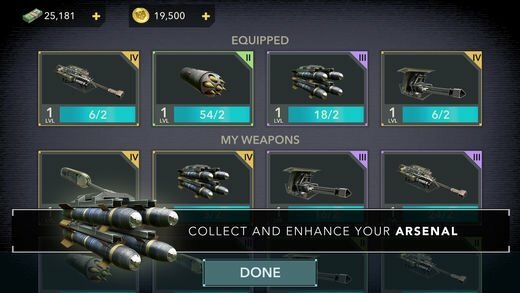 You'll be able to make the most of a wide range of weapons that you can expand as you manage to advance and fulfill your objectives. 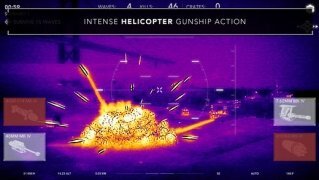 Equip your helicopter with all kinds of guns including machine guns, missiles, rocket launchers, sniper rifles, cannons... whatever it takes to save the planet. 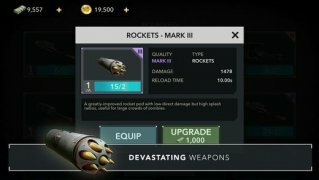 You'll also be able to purchase new weapons and improve your current ones in the store by spending some money.